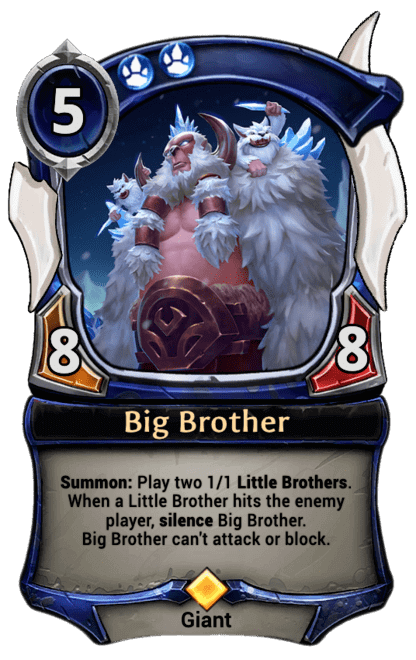 Big Brother can't attack or block. Summon: Play two 1/1 Little Brothers. 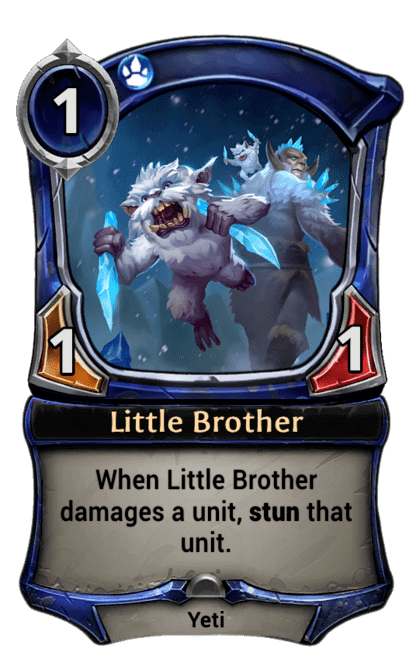 When a Little Brother hits the enemy player, silence Big Brother. Silence - Remove all text from a card and its attachments.